Thermage® is a non-invasive radiofrequency therapy that can address the look and feel of ageing skin on many areas of your body. Thermage® treatments are customized to your needs, and typically require minimal or	no recovery time/downtime. It’s a great solution if you want your skin to look sleeker, smoother and younger, but can’t afford a lot of time away from work or your social life. Thermage® is a proven radiofrequency treatment that transforms skin by working below the surface and addresses a wide range of surface imperfections that result from age and environmental factors. Benefits include the smoothing of wrinkly or uneven skin, better definition of facial features around the eyes, jaw and neckline, and even the smoothing and toning of unsightly bulges, wrinkles on the face and body. Thermage® radiofrequency energy works with your body, remodeling your collagen to help your skin get that smooth feel and youthful look you want. Thermage® treats targeted problem areas – so the results are focused and effective. Collagen matrix thickens and creates a smoothing effect. Thermage® treatments are all about energy – focusing radiofrequency energy to kick start the body’s own natural renewal process. 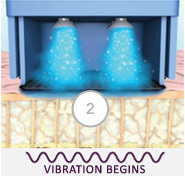 Like most smart technologies, the process is relatively simple – it’s a combination of heat energy to treat deep tissue, and cooling effects, to protect the skin surface and deliver better patient comfort. 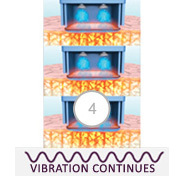 And our latest evolution of Thermage® includes patented Comfort Pulse Technology – gentle vibrations and interspersed cooling that make your Thermage® treatment even more comfortable. Even so, it’s important to remember every patient’s circumstances are different, so for specifics, it’s best to consult your Thermage® physician. Treatment tip is placed against the skin. 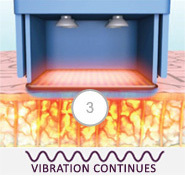 Treatment tip begins vibrating (if enabled) and epidermis is cooled and protected. 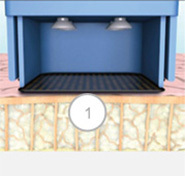 Delivery of heat begins and penetrates deep into the tissue. 3 bursts of cyrogen on the epidermis while deep heat continues to be delivered.